So I passed my part 3 and final test last Wednesday. I just need to say a few words about Craig Polles, my ADI. Fantastic, brilliant, patient, calm, relaxed, helpful, understanding, I could go on. Just wanted to say thank you so much for all of your time. I came in completely new to ADI part 3. I went to Craig following a recommendation. It was the best thing I did, seeking further training to pass my ADI part 3 test having failed the first attempt. Max Hughes (Standards Check) Review. I would like to say a heartfelt thanks to Craig Polles in helping me to become an ADI. I am just writing to express my sincere thanks to Craig for helping me become an ADI. Becoming a driving instructor was something I had developed a passion for, but never thought it could be achieved. After deciding it was what I wanted to do, I looked long and hard at available courses that offered the perfect deal. I just wanted to say a big ´thank you´ for your time in helping me with my part 3. Having recently passed my part 3 test with a pair of 5s at the first attempt, I would like to officially note my thanks to trainer Craig Polles. Without his unique and enjoyable training techniques I don´t think this would have been possible. Where do I start, fact is I could sit here and ramble on for pages and pages about my experience with Craig Polles but it just wouldn´t be enough. There´s only one piece of advice I would give to someone thinking of training to be an ADI, look no further than Craig Polles. What can I say but a massive thankyou for getting me through part 3. As you are aware I have been through this process before with a different trainer resulting in failing my part 3. I would like to offer my sincere thanks for your excellent training, patience and persistence in helping me get through my ADI part 3 test. As you are aware, I have just passed my ADI part 3 instructional ability. Just wanted to say a very big thank you for the recent training I received for my check test. I had failed my first attempt, mainly because I was unprepared, but after just three sessions with Craig I sailed through. I would just like to say a few words in thanks for your helping me to get through the DSA Part 3 test on Instructional Technique at my first attempt. Just like to say a big thank you for your guidance and direction in helping me to pass my check test. 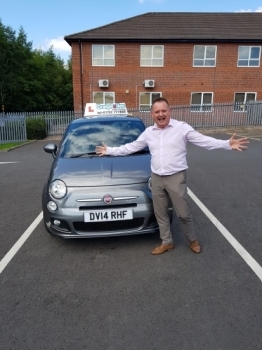 Spending time training with you gave me much more confidence in my ability as a driving instructor. Needless to say I am delighted to have passed my Instructional Test - Part 3 particularly at the first attempt!. A quick note to express my sincere thanks for your support throughout my ADI training. I would like to take this opportunity, to say thanks for the training I received to help me achieve a grade 5 in my check test. Very thorough and professional tuition, always friendly patient and very knowledgeable. I recently passed my test to become a qualified A.D.I. and for this I did all my training with Craig Polles. Having spent numerous amount of hours on part 3 training with another local pay as you train instructor and having failed my first attempt. I was able to accomplish my goal of becoming a driving instructor with only 2 hours of training per week due to work and family commitments. I am writing to thank you for helping me to pass my part 3 instructional test and becoming an ADI. I thought I would just pen a few words to express my sincere thanks for your help and guidance through my part 2 and part 3 and setting me on the road to becoming a ADI. Just a short note to thank you for all your help to get me through my second, third and final stage of becoming an ADI. Without your excellent training programme and your patience this would not have been possible. I would also like to take this opportunity to thank you for all the support you gave me during training. 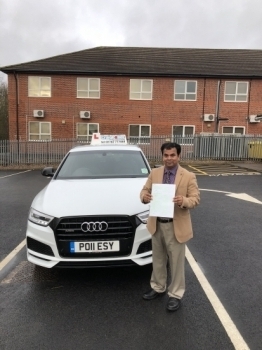 There were times when I felt ready to give up, but with your help and advice I continued and now have my ADI Certificate. Just a short note to say "Thank you" for your professional support and tuition during the past twelve months. 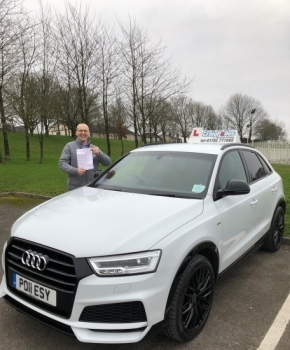 I first met Craig when he trained my son to drive some 5 years ago, having lost touch since that time I can say I was pleased to hear that he was now an ORDIT trainer. Before finding Craig I had already undertaken several check test training sessions with another local ORDIT trainer. After an unsuccessful attempt at my check test I decided to seek an alternative trainer.